AHP waste, which is currently considered a non-recyclable fraction, represents between 2-4% of the total Municipal Solid Waste. What if this waste could be converted into other products, avoiding incineration and reducing greenhouse gases emissions? 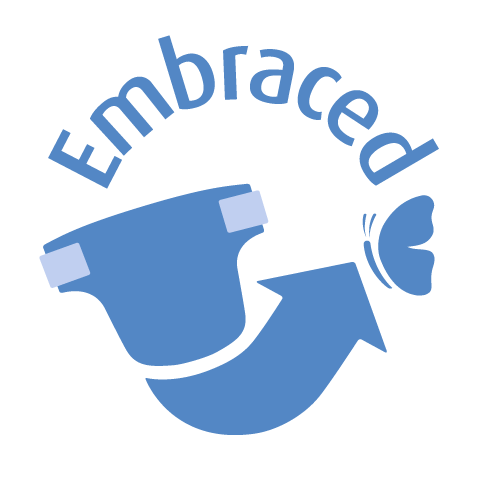 The EMBRACED project intends to demonstrate in a relevant industrial environment a circular model of integrated biorefinery based on the valorisation of the cellulosic fraction of post-consumer Absorbent Hygiene Products (AHP) waste towards the production of biobased building blocks, polymers, and fertilizers. - Cascading approach, where all fractions from the process will be valorized to obtain marketable end-products fully competitive in terms of cost, quality and sustainability. - Circular economy approach, closing the cycle of raw materials and minimizing the use of primary resources, through the establishment of virtuous models of cooperation among all the involved stakeholders. • Recovery of 3 high purify fractions: cellulose, plastic fraction and Super Absorbent Polymer fraction (SAP). • Enhaced quality of cellulose by reducing the SAP content from 50% to 5%. 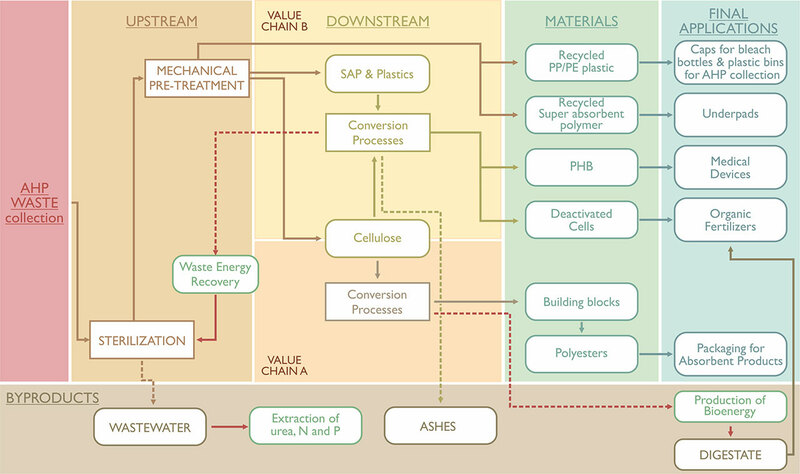 • Demonstration of an innovative pretreatment technology for the obtaining of fermentable sugars from AHP waste cellulose to be converted through first of its kind biotech process into biobased building blocks of industrial interest.